Here you find information about our opening hours and prices. Due to an overall renovation of our museum and observatory, Sonnenborgh is closed from July 30 to September 30 2018. 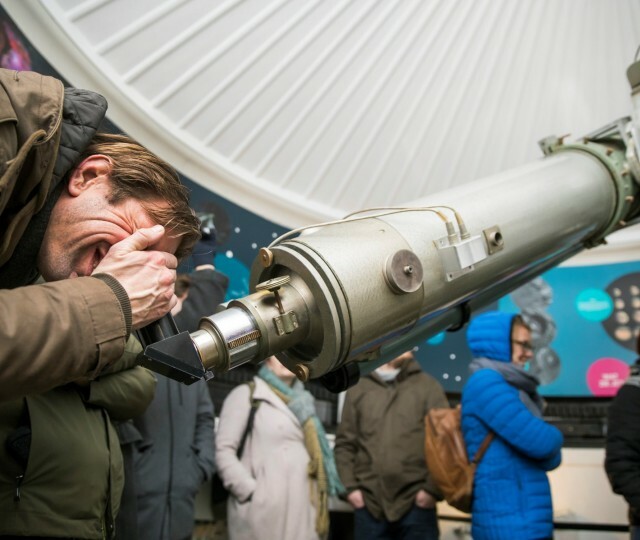 Up until July 29 only the obervatory is open to public at reduced rates (€3,75 adults, €2,25 visitors under 18). Groups may also schedule visits after opening hours. To schedule a group visit, please contact us at 030 820 1420 or info@sonnenborgh.nl. The observatory is open to the public every Friday and Saturday evening from October up until April. The Star Viewing Nights are held between 8 and 9:30pm on Friday and 7:30 and 9pm on Saturday (special kids program); booking is required (tickets sales starts the end of August 2018). Sonnenborgh is closed on New Year’s Day (January 1st), the 2nd day of Easter, King’s Day (April 27th), Liberation Day (May 5th), Whit Monday and Christmas (December 25th & 26th).